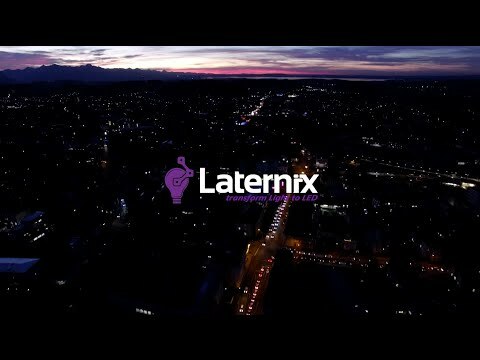 LATERNIX GmbH & Co. KG, designated hereafter as „author“, assumes no guarantee for the topicality, correctness, completeness or quality of the information provided. Liability claims against the author, which have references to damages of material or ideal type that were caused by the utilization or non-utilization of the offered information or through the utilization of defective and incomplete information, are fundamentally excluded if no deliberate or gross negligence on the part of the author occurred. The author reserves the express right to amend, add to, or delete sections of the online content without prior notice or to discontinue all or part of the content either permanently or temporarily. Any liability for direct or indirect references to external web-sites („hyperlinks“) which are outside the responsibility of the author would be assumed solely in those cases, in which the author had prior knowledge of their contents and where it would have been technically feasible and reasonable to prevent the utilization of any illegal contents. The author herewith expressly declares that at the times the links were created, no illegal content was recognizable on the linked pages. The author has no influence whatsoever regarding current and future layout, contents and authorship of the linked pages. The author disassociates himself explicitly from all contents on this web page, including links to sub-pages and for all content of these pages to which links or banners lead to. Any illegal, incorrect or incomplete contents, and any damage or loss resulting from the use or non-use of such information, is the responsibility of the provider of the page to which a link has been made and not the person who merely made the link to the publication in question. In all publications the author has made every effort to observe copyright laws concerning all graphics, audio files, video sequences and texts that have been employed; to use, wherever possible, the author’s own graphics, audio files, video sequences and texts; or to employ graphics, audio documents, video sequences and texts that are in the public domain. All trade marks and brands mentioned on the website, including those protected by third parties, are without limitation subject to the provisions under the respective labelling law and the rights of the copyright holder. The mere mention is no basis for the conclusion that trademarks are not protected by third party rights. The copyright for published material created by the author remains the property of the author of the pages. Such graphics, audio files, video sequences and texts may not be duplicated or used in other electronic or printed publications without the express permission of the author. The disclosure by the user of any personal or business data (e-mail addresses, names, addresses) through the internet offer is purely voluntary. Third parties are not permitted to send unsolicited information through the use of contact details such as postal addresses, telephone/fax numbers and e-mail addresses published in the imprint or the like. We reserve the right to take legal measures against those senders of so-called spam mails that violate this regulation. This disclaimer is part of the internet offer that links to this page. If sections or individual terms of this text do not, no longer or do not completely conform to the valid legal situation, the content and validity of the remainder of this document remain unaffected.